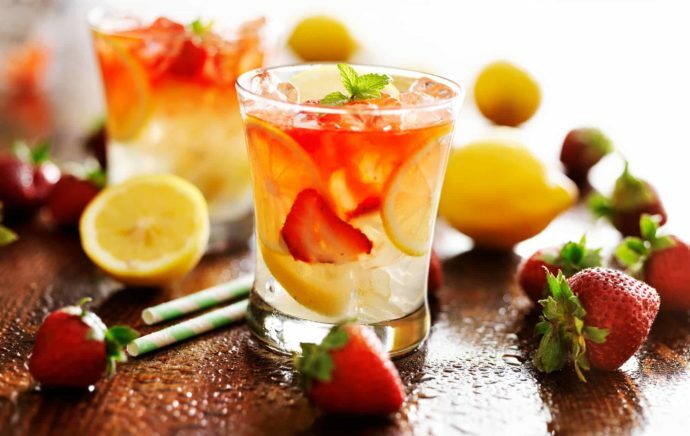 This strawberry lemonade moonshine is quite simple to make and oh so good to enjoy. This is an infusion recipe, so no still is required. But of course, you can also use moonshine from your stash instead of the Everclear to get even better results. 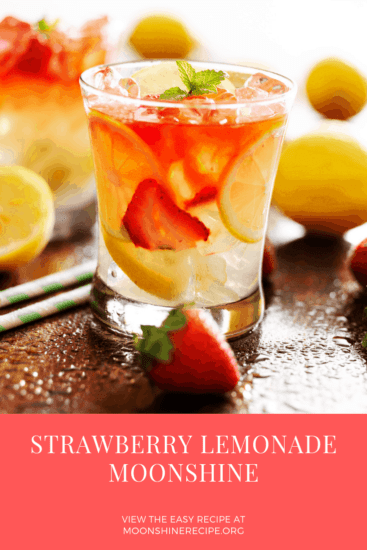 The key to getting great taste with this recipe is using really fresh strawberries and lemon, since these ingredients will have a huge impact on the final flavor. Just make sure to keep it in the fridge for a while after mixing if you want to get a balanced mellow taste. Want to speed up this recipe a bit? A great party gift for the Spring and Summertime! Pre-heat water to about 90°F. Mix in strawberry purée and lemon juice. Add in Everclear and stir well. Strain the mix to remove all pulp. Pour the mix into a storage vessel and put it in the refrigerator. Let it mature for at least a couple of weeks. The longer it matures the mellower the taste. Pour mix into a jar and let sit in refrigerator for 2-4 weeks. The more time jar sits in refrigerator, the better it will get. When jarring the final mix, jar a small amount separate to taste test. This way, you do not have to open a large jar if it is not ready. You can adjust the amount of Mooonshine / Everclear depending on desired alcohol content. 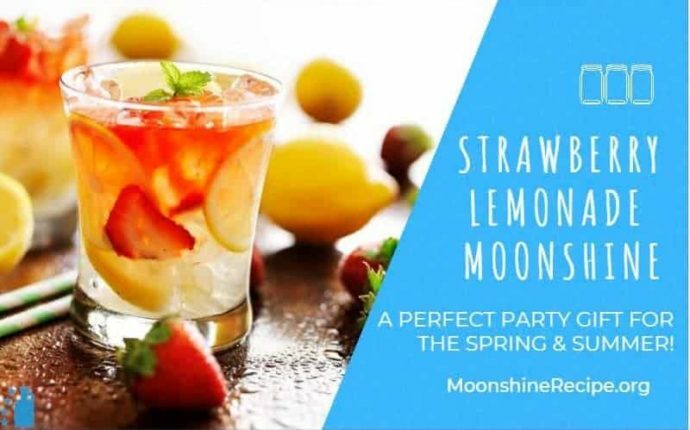 Here’s some great moonshine jars to enjoy this recipe with and add a touch of flair, whether you’re casually sippin’ at home or throwin’ a birthday bash. The original backwoods design with a functional handle that will ensure there’s no drops or cleanups. Glass + condensation is a slippery combo! What proof would this be in the end? Why do you use to strain mix?